If Visualizing the Korea Food Foreigners do you think of the first 'spicy'. You can globally understood what the image of Korea is Korean for foreigners to be classified in three countries do you think spicy food a lot with Mexico and Thailand. Perhaps typical food, kimchi, South Korea, 'Galbijjim', 'rice cake', etc. So be famous for doing that more in the Korean. 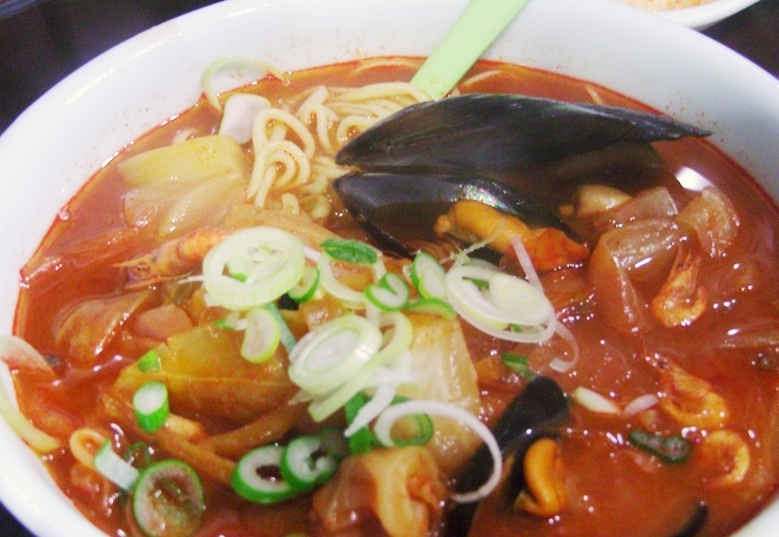 In fact, most of Korea except those aneunde very spicy food, really. Herbs, steamed egg, bulgogi, sundae, miso soup, etc. I got lots of representatives of the mild taste of food without spicy. However spicy spicy representing TOP3 country to see if anything has been properly enjoy spicy food in Korea'd experienced one of the most interesting elements. Koreans eat spicy confident that even a little too spicy to eat well, I want you to meet in Korea BEST HOT SPICY RESTAURANT being afraid. Note that this ingredient is used mainly to figure the restaurant's spicy capsaicin in these extreme right. The capsaicin is a lipolytic effect by promoting the metabolism, vitamin C, I promised to help the seasons change - Immunity as abundant and far. 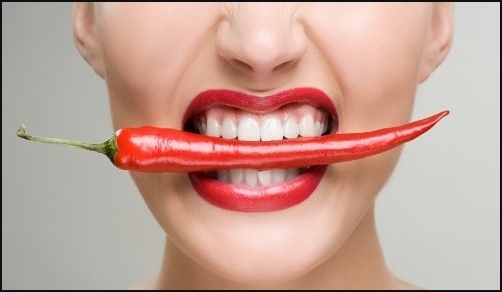 I want to taste the spicy Korea - correctly or that foreigners are challenging yourself to try spicy hot in Korea once the trip. at once proceed to the event as advocated various giveaways. Do not give up in the middle of force fell from eating that way people do hear the ambulance is also a challenge, let's not unreasonable. 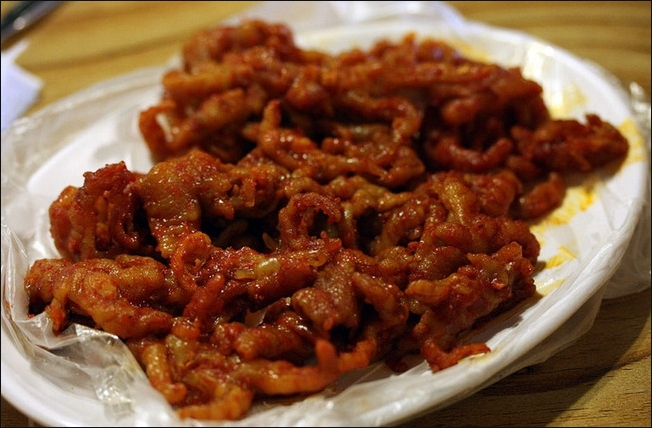 Changsin-dong avoided the hot and spicy pork feet is unconditional and is where the delicious spicy-oriented. Spicy gourmet restaurants in the famous result of the verification program in Korea with more than one was selected as the most deliciously spicy took a more fame. Bake the pork feet beomurin was soaked in a spicy sauce on grill flavor better.I feel much better if you want to experience the spicy, let's go. Chicken Feet hongmi is rumored that all ingredients together in a world map and he used to relish. While no one is pungent irritating but addictive strong spicy put down the spoon. Eating can be ordered with rice and steamed egg to neutralize a lot of spicy. 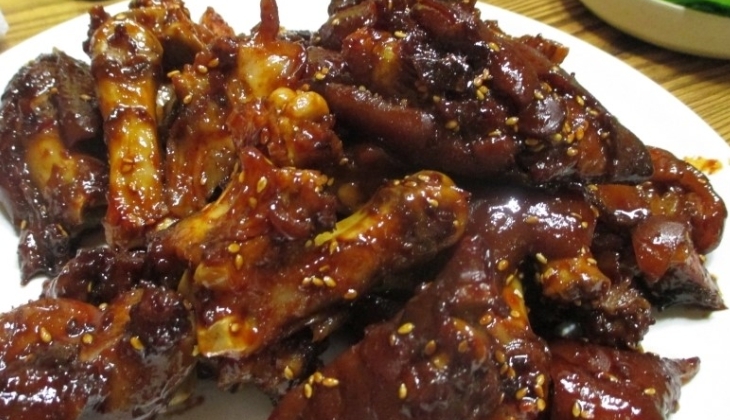 This is not a burden, especially for chicken feet, even foreigners are eating a boneless chicken feet.